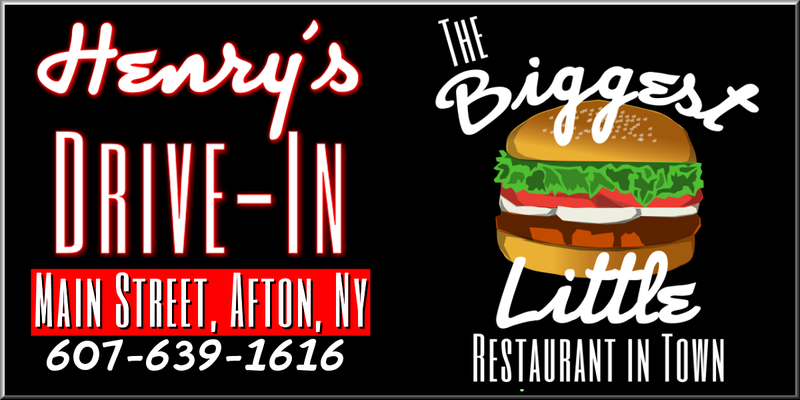 We will be printing a total of 10,000 placemats - 5k will feature Henry's Drive-In in the enter and be distributed from the Afton based restaurant throughout the year. 5k will advertise the Coventry Events Committee's 13th Annual Coventry Blueberry Festival and get distributed to several restaurants in the surrounding area. BONUS - a portion of ad sales to benefit the 13th Annual Coventry Blueberry Festival! AD SPECS: Your black and white ad at 2.5" wide by 3.25" height for just $150 featured on BOTH placemats and at the event website: www.CoventryBlueberryFestival.com and Coventry Events Committee on Facebook. Placemat advertisers may purchase space with the link below, banner ad opportunity sold separately.